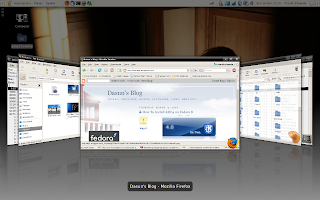 ATI cards have always had problems with Compiz on Fedora 8 -- at least for me. 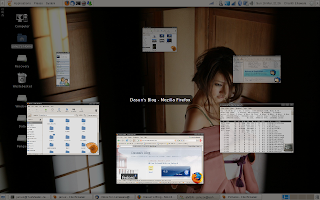 I had to go without Compiz for several months on Fedora 8 before I finally found out how to configure the darn thing to work. So here's how I went about it. 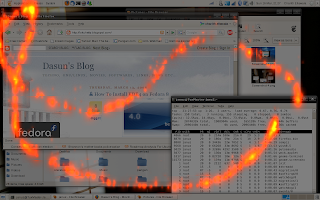 Hope it helps any other fellow Linux ATI owners. Now the system is clean. Make sure you have got the latest driver package from ATI and switch to a virtual terminal by pressing Ctrl+Alt+Fx where x can be any number between 1 and 6. Change back to runlevel 5 to see whether the driver installed correctly. If you see the graphical logon screen, congratulations. The driver was installed correctly. 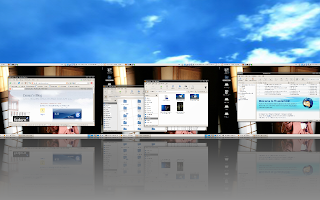 Before proceeding, make sure all older versions of Compiz have been removed from your system. 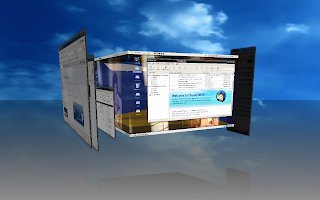 Thanx man for this Great guide, I hoped that this ATI & compiz Matter would never end. Good to here it ends and now they r working soothly. I followed ur Guide and Got my fedora Box flying. Hope to c you with a new guide.